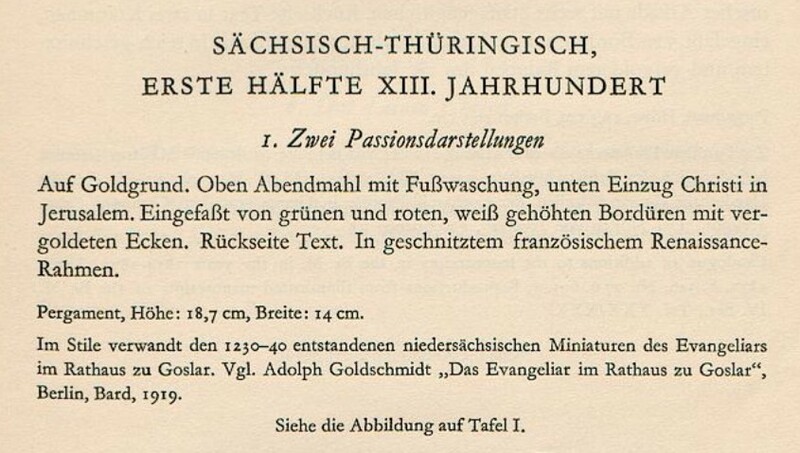 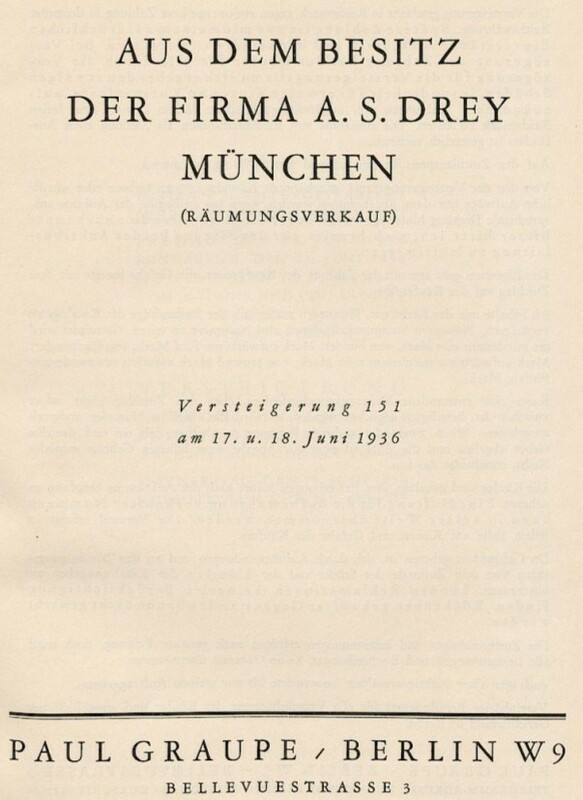 The catalogue has a Foreword by M.J. Friedländer, who presumably did the cataloguing. 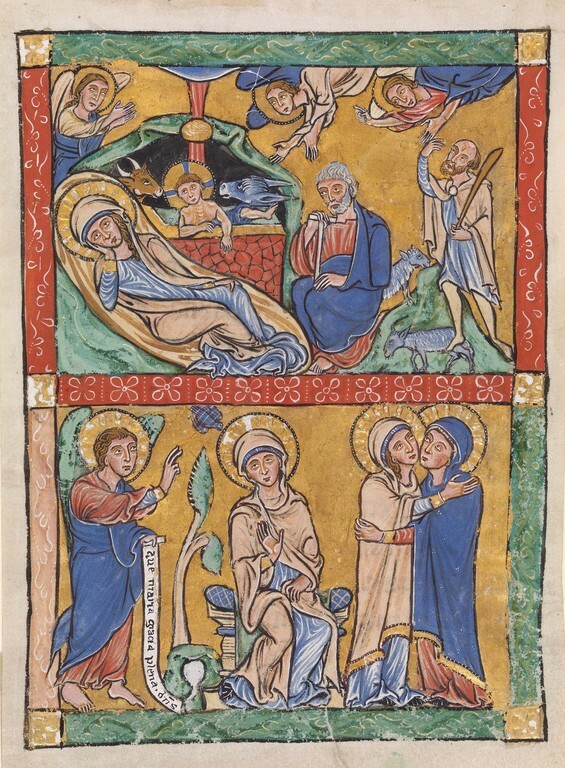 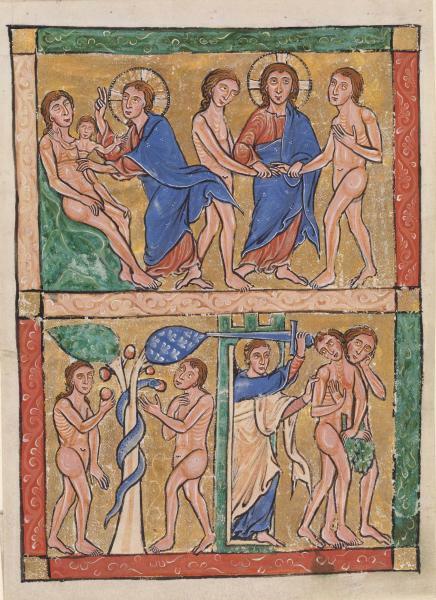 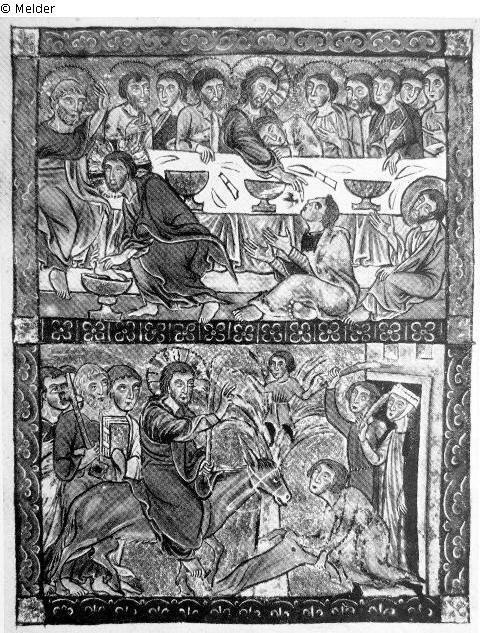 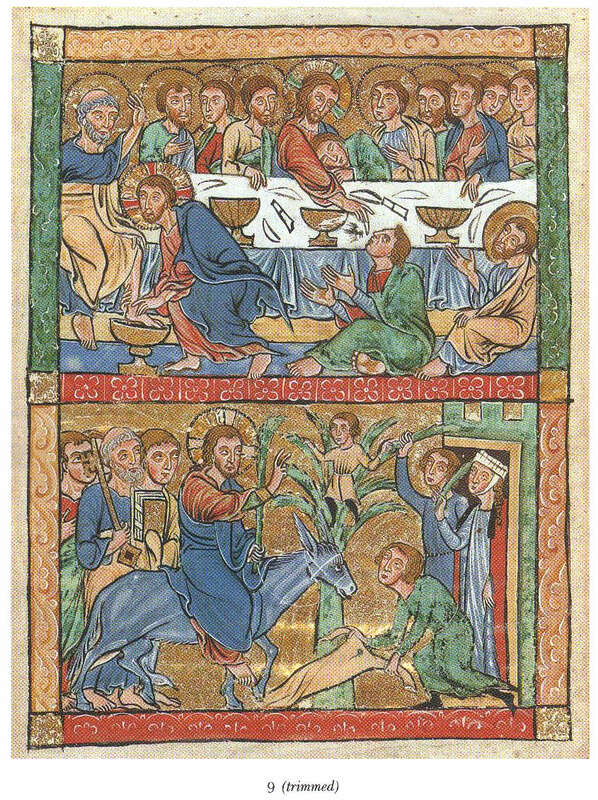 The two main differences between this newly-recognised miniature and the four that were previous known, are that (i) it is the only one that depicts Old Testament events, and (ii) it is to be read from top to bottom, as normal, unlike the other four, which have to be read from from bottom to top. 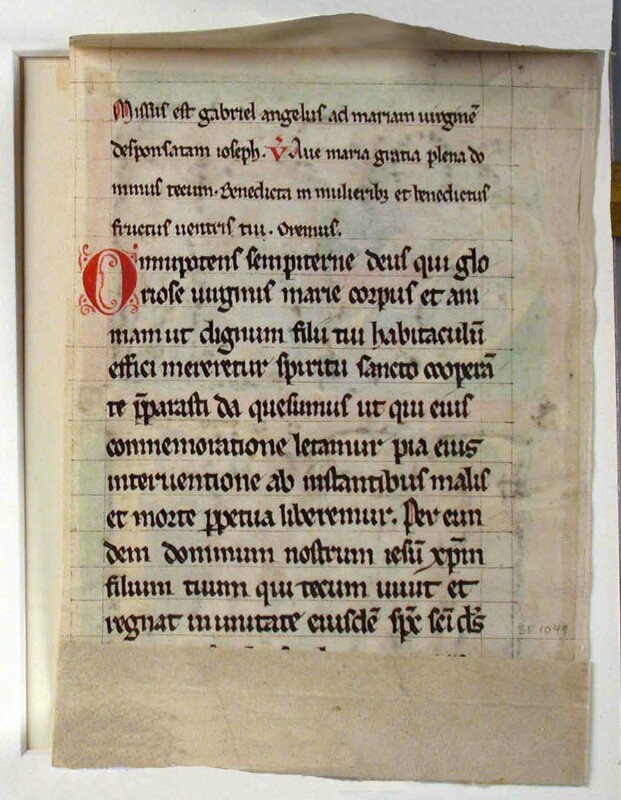 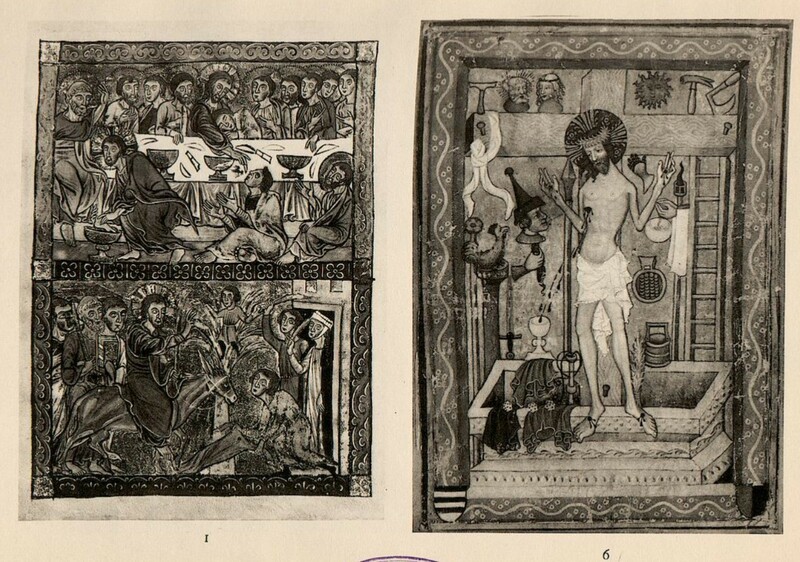 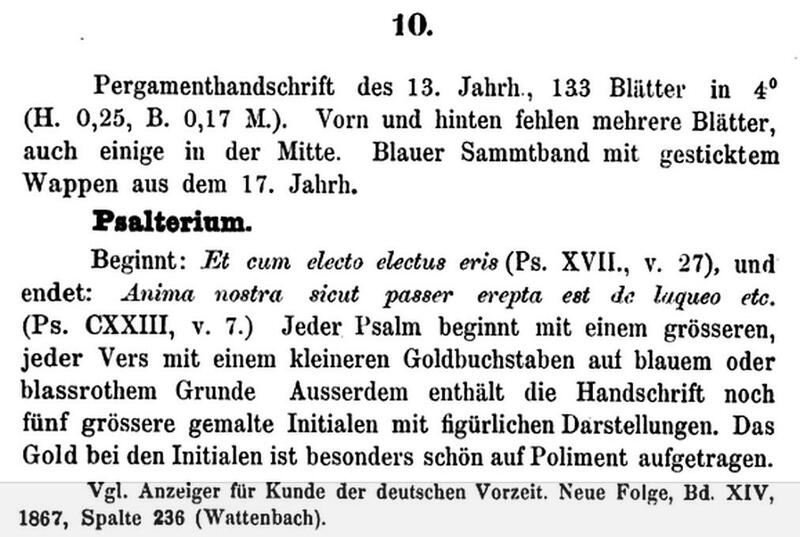 These differences cast some doubt on whether it came from the same manuscript: it might be by the same illuminator, but from a different book. 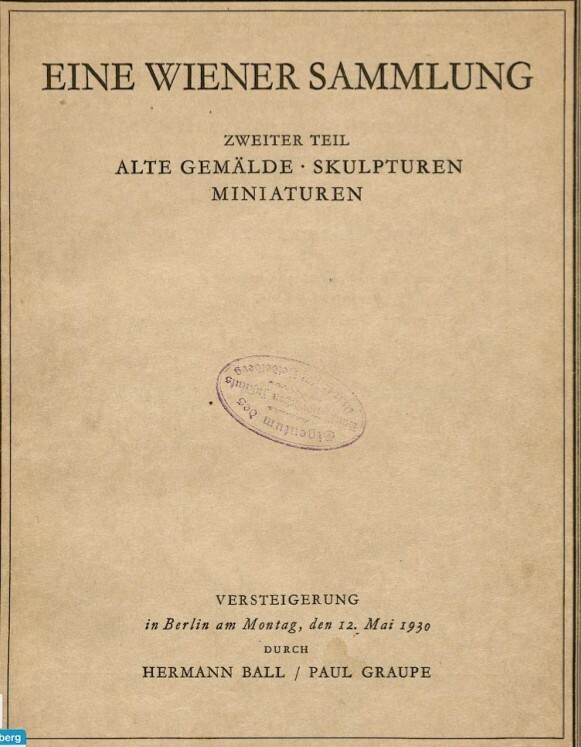 It was sold by W.S. 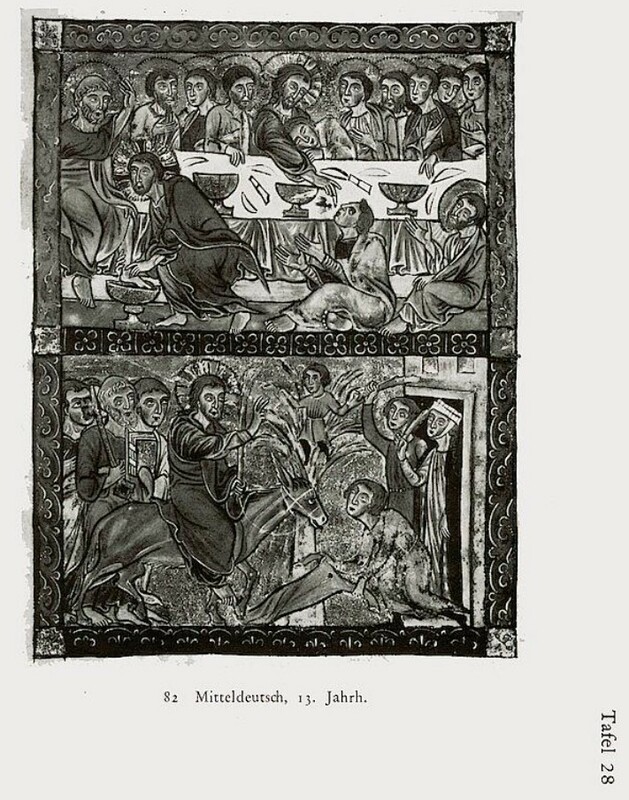 Kundig, Très précieux manuscrits enluminés et incunables provenant de la bibliothèque privée de feu M. Léo-S. Olschki et d'une collection princière: livres anciens des XVIe, XVIIe, XVIIIe siècles et du début du XIXe siècle, Geneva, 23 June 1948, lot 3, and entered the Liberna Collection in the same year.